There are particular moments in the history of art when exceptional things happen. Such a moment occurred in the 1950s in Milingimbi, the small island community in Arnhem Land in far northern Australia. Gathered in groups in the shade of the tamarind trees, artists worked alongside one another, their individual approaches and shared visual language resulting in a distinctive style of painting of a quality and scale never before seen. These artists created exquisite bark paintings with jewel‐like surfaces that capture the complexities of land, sea, sky and cultural inheritance in the one seemingly abstracted image. Drawn from a unique collection held at the Art Gallery of New South Wales and developed in close collaboration with the Milingimbi community, Art from Milingimbi includes 62 exquisite bark paintings by 15 artists, as well as ceremonial and utilitarian sculptural objects. 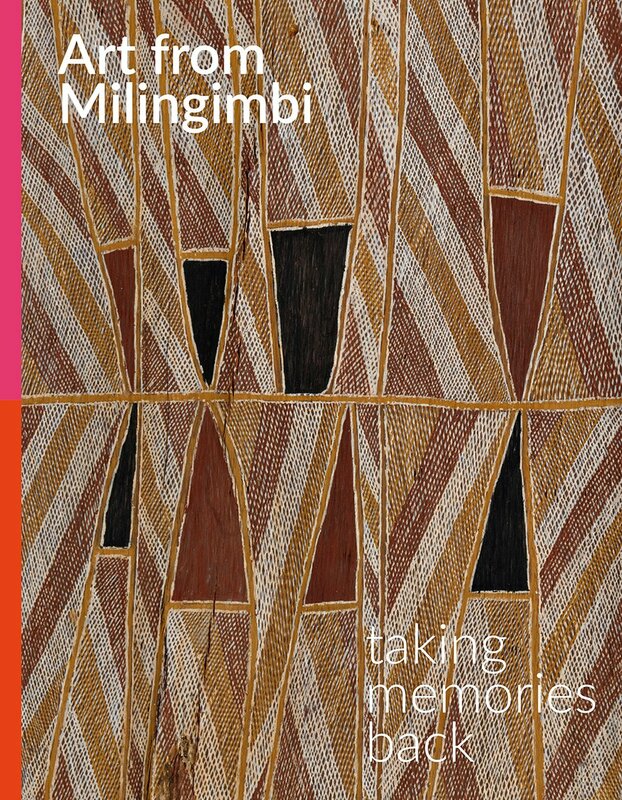 Together with essays on the artists, the art and the history of Milingimbi, and historic and contemporary photographs, it provides readers with a unique insight into the artists, their culture and their connectedness to place. While there has been great interest in art from western and north‐eastern Arnhem Land and Ramingining, there has been little written or published on the exemplary art of Milingimbi. 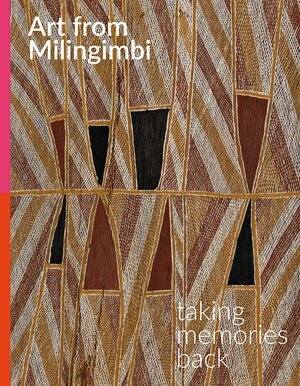 With new research conducted with the Milingimbi community, this book is the first publication about Milingimbi and the exemplary artists working there in the 1950s. These artists actively engaged with the art market and generously depicted the complexities of Yolngu culture in their works. Many works refer to the highly valued commodity of sugarbag or honey and depict the related clan designs. Other evocative works refer to environmental events, such as rain falling in the trees or animals waiting in anticipation for the rains to come.